Randy is also Wayne's son and part owner of C & R Transmission. He does everything from R & R transmissions to wiring problems. 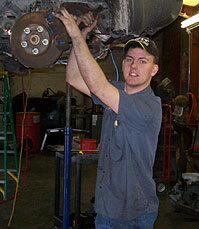 He graduated from Nashville Automotive Diesel College in 2004. Randy spends most his time at the Kirksville location.